The update of the half marathon that I ran more than two weeks ago on Valentine’s day?…..ahem, yes…… I still owe you that one. Well, let’s be totally honest: I was sulking. I don’t really have much reason for it. I felt good at the start line, the weather was perfectly cold, the course flat as a pancake. PB material. I finished in 1:30:40, a PB by more than 2 minutes. Yet, I wasn’t happy with that race. It didn’t come easy, I continuously got slower through the race. My 5k splits were atrocious. 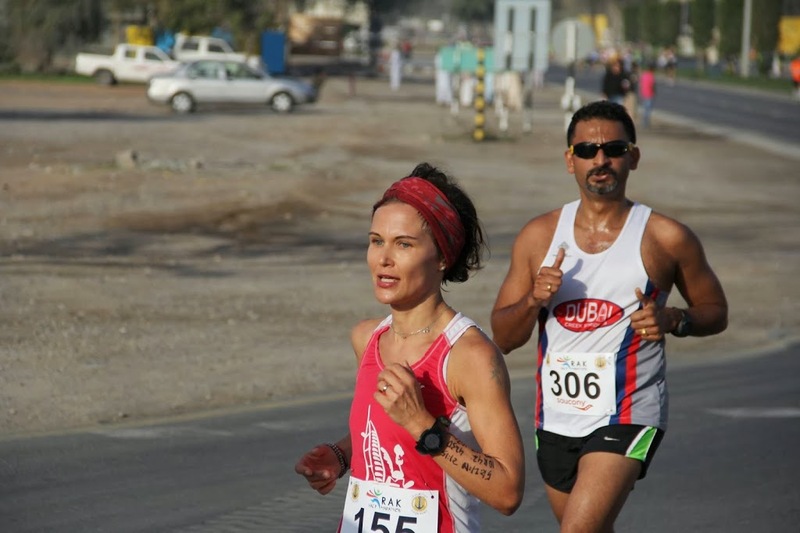 And again, like at the Dubai marathon three weeks earlier, I had thoughts of giving up. I didn’t enjoy it. To put you into the whole picture, I was going for a sub 1:30 time. I thought I could do it. Perhaps it was one number to big for me yet. At the same time, I saw several of my running friends with similar race times to mine, beat the 1:30 barrier for the first time. You can imagine, that didn’t go down well. As much as I am happy for all those friends as they deserve it after hard and consistent training, I am very competitive at the same time. I am lagging behind by some 40 seconds. That bugs me. Badly. Now two weeks later, I am slowly finding my feet again. I didn’t run much. A cold that came on a couple of days after the half marathon, was a blessing in disguise to help me stay off my feet. I needed rest. My racing tank was empty. My body depleted. Not so much the leg muscles, rather all my bones. I usually find it difficult not to run despite little injuries and niggles. This time, I could literally feel how the rest was doing me good for every hour that I put up my feet. I needed some time to decide what to do with myself after the last half marathon. Another one is about to happen in a week’s time. My chance to redeem myself before the end of the season? The thought of racing another 21.1k was not appealing. And still isn’t. I am quite happy with the prospect of not having to run further than say 15-17k on my weekly long runs. Two 10k races are coming up in March. They are two weeks apart. The first one is a hilly one. The second one is flat and the one where I run all my 10k PBs. I decided to use the next 4 weeks to do a bit of speed work. The hilly 10k race will be a training run. But I will try and do well in the last 10k race of the season. End of March can be quite warm in Dubai already. I am not sure if another PB will be possible. I have started the training. I am adding strides at the end of my easy runs. I went for hill sprints the other day. To my surprise, I am enjoying the speed work. Perhaps the change to the shorter and faster workouts is all I need after training for two full marathons where it’s all about “long and slow” pounding of the pavements. In the next few weeks I will also experiment with a higher carbohydrate percentage in my diet. As I mentioned in previous posts, I have been writing a food journal over the past 4 or 6 weeks. It turns out that my refined sugar and mostly grain free diet reduces my carb intake to 35-40% of the total. That is rather little, especially for endurance athletes. I will try and increase it to at least 50% every day, and see if it makes a difference in my training, recovery and races. In order to do that, I am ready to add more grains into my diet again. I have brown rice here and there, and always like quinoa. Today’s recipe is a traditional Middle Eastern salad. I love Tabbouleh, it’s so refreshing and very easy to prepare. It is typically prepared with bulgur, which is split wheat. I replaced it with quinoa to make it gluten free and more wholesome. I hope you enjoy. In a medium pan, bring quinoa and salted water to a boil over high heat. Reduce heat, cover pan, and simmer until quinoa is tender, about 10 minutes. Let quinoa stand in covered pot for another 5 minutes, then fluff with a fork. Meanwhile, whisk lemon juice, olive oil, salt and pepper. Set aside. Combine finely chopped parsely and mint leaves in a salad bowl. Stir in the cooked quinoa until well combined. Add cucumbers, tomatoes and the dressing. Toss to coat. Season to taste with salt and pepper or more lemon juice. Serve cold or at room temperature. Salad keeps well in the fridge for 24 hours.